Well I don't know if this is a repost i couldn't find any, but if it is i'm sorry. 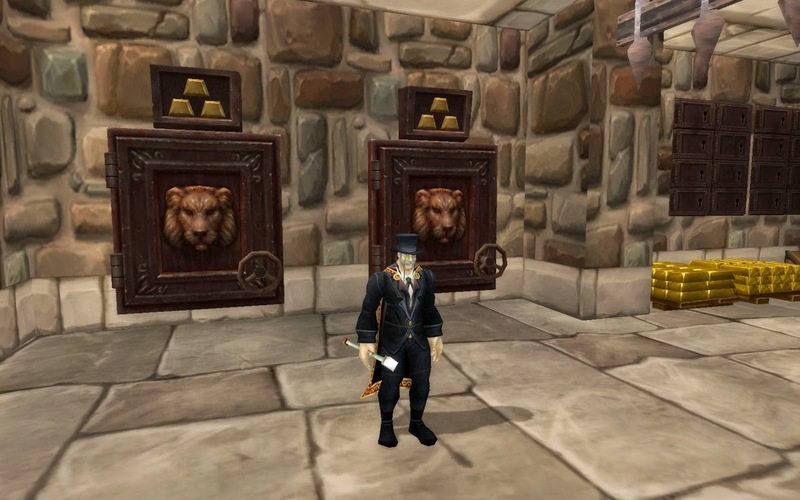 But if you are a rogue with the shadowstep talent you are able to select and use shadowstep on the Stormwind bankers to get behind the wall. I don't know about the horde side, internet is too slow right now to test it. So basic recap level 60 rogue with shadowstep, target banker, use shadowstep to get in, to get out select a player and use shadowstep again.